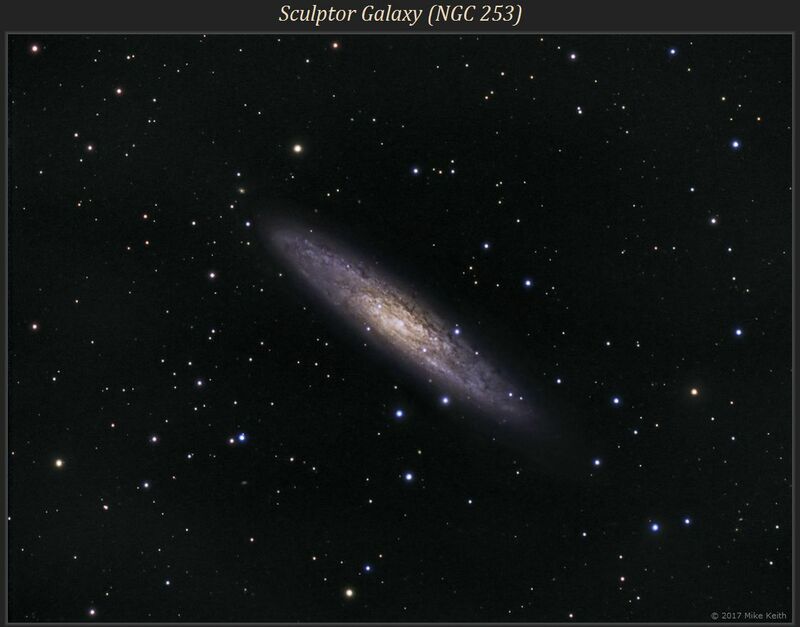 The Sculptor Galaxy is large and bright but a bit difficult to observe or photograph from the Northern Hemisphere because of its low position at 25 degrees below the celestial equator. It never gets more than 25 degrees above the horizon at my location and is only visible for about 2.5 hours on the best of nights. 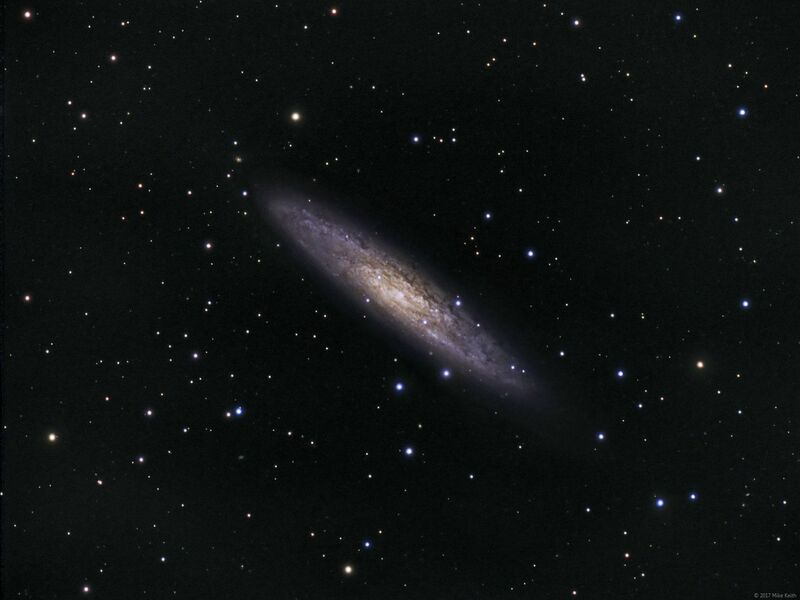 This was captured in one night using 15 x 8 minutes of exposure with a one-shot-color CCD.